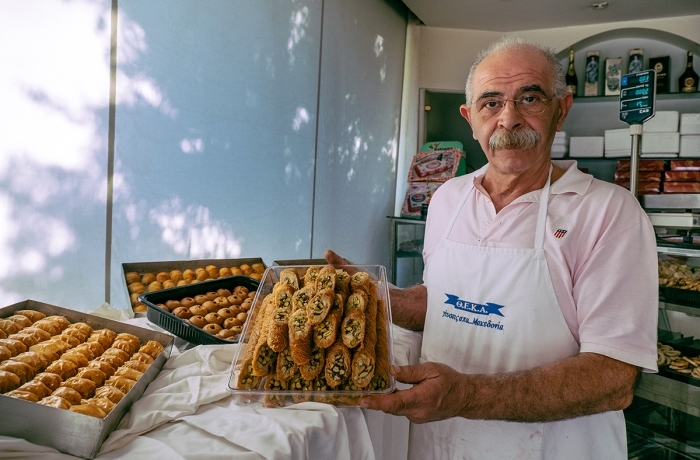 We recently wrote about the excellent Athens food tours run by Culinary Backstreets, and there's no-one better qualified to publish Athens, An Eater's Guide to the City. This Eater's Guide is only a slim volume of 112 pages but if you're like us and love both Athens and food then it's worth its weight in gold. It follows the same pattern as the walks do, taking you to lesser-known neighbourhoods to find the most exciting and authentic Athens eating experiences. It doesn't matter whether it's a simple kebab place or an innovative restaurant, the only concern is the quality of the food. The book, which has five different authors, is filled with the kinds of recommendations that you won't find in regular guidebooks, which rarely venture outside the city centre. Between them the authors have come up with over 70 places to enjoy the best food Athens has to offer, ranging from a dairy serving the best Greek yoghourt, or a bakery, through to terrific seafood places and wine bars. 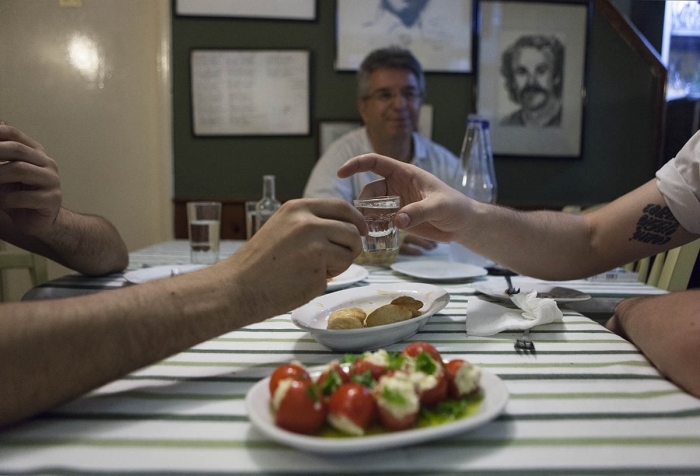 The authors have also tracked down the last bakalotaverna in Athens: To Eidikon. These were once widespread, being shops that also served food, but now people seem to prefer to keep the two activities separate. Either that or no-one wants the hard work that goes with running two different types of establishment in one. Apostolos Papakonstantinou doesn't mind, though, and you'll find this unique spot at the junction of Psaron and Salaminos streets in Piraeus. The best time to go is Saturday night when there's also live music. Some of the dishes described in Athens, An Eater's Guide to the City, are so mouthwatering to read about that they made us want to jump straight on a plane to Athens and spend a few weeks tracking down every last one of them. 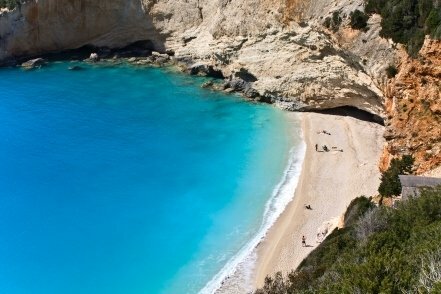 Let's start with Seychelles, which the book describes as the 'best mezedopoleio in Athens'. You'll find it at Keramikou 49 in the Metaxourgeio neighbourhood. How about starting with a chickpea salad with fresh mint and feta, before going on to enjoy octopus cooked in red wine and served on creamed peas? Or how about Argoura, a seafood place where you'll be welcomed with a complimentary fish soup? You could follow it with a green salad with sea urchin dressing, and then maybe prawns with fava beans. Or would we have the mussels with seaweed? We have one very definite rule when we're looking for somewhere to eat, wherever we are in the world. We never eat anywhere that employs someone to stand outside and try to persuade you to dine there. They are invariably tourist traps. This inevitably rules out about 90% of restaurants in the Plaka district of Athens, the most touristy part of the city. 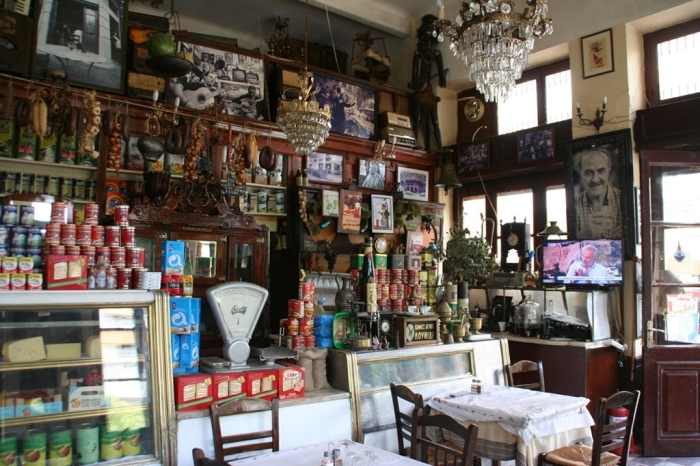 But Culinary Backstreets has found a place in the Plaka which they do recommend: Paradosiako. 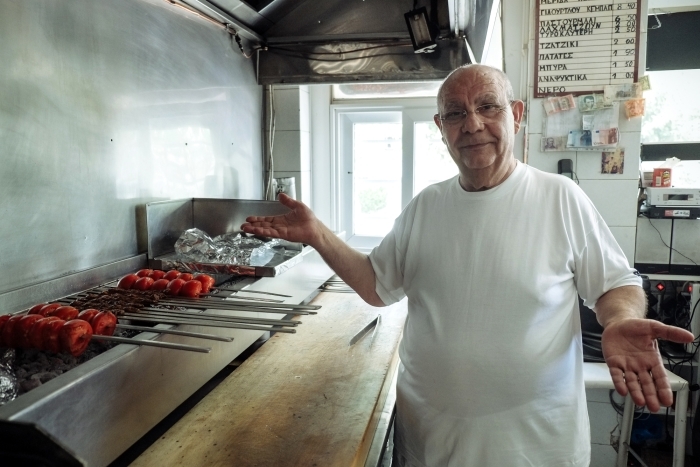 Paradosiako does traditional Greek dishes, but does them superbly well, say the authors. Their baked feta is done in a ceramic dish with olive oil, tomato and parsley, while their moussaka is so authentic it sounds like a benchmark to judge all other moussakas by. Most of this excellent book is given over to individual entries - with great photos - for the various eating places and shops that are recommended. Each one gets a double-page spread. The write-ups are only short but they are well done, capturing the atmosphere, the character of the owners and the flavours of the food. That's no easy thing to do. But at the back of the book is a section called Specials. Here you'll find round-ups on different topics. Over four pages you'll read about the new wave of Greek wine, including retsina, with four of the best bars to drink in. That's followed by another four pages, and another four recommendations, this time for the best grilled lamb in the city. Other Specials include the best coffee places, the best places for feta, the best shops for buying wild herbs, the best souvlaki joints and a spread on which of the city's museums also have good places to eat in them.. The entries are grouped by district, and at the back of the book are four maps for the four districts, with each place mentioned being marked on them. They're not the most detailed of maps, though, and you'll still need a proper Athens street map or satnav on the phone to find the places. Better maps are one of the few ways in which the book could be improved. The lack of prices is deliberate, as they can date quickly, and we've no argument with that. Addresses, phone numbers and opening hours are all provided, but we'd like to have seen websites too for the places that have them - though most probably don't. 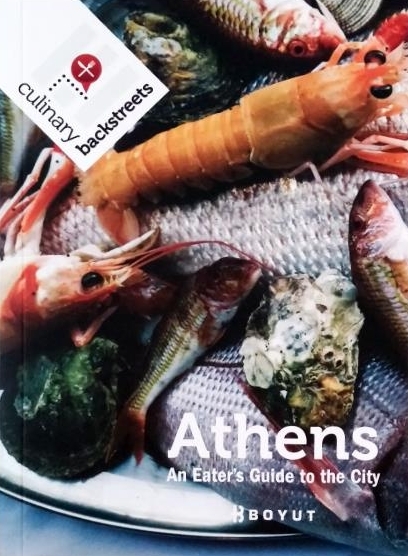 To repeat - if you like Athens and you like food, this little book is worth its weight in gold, and will be in our hand luggage next time we go to Athens. Note that there are some copies of an older edition for sale on Amazon but be sure to get the updated and expanded 2017 edition reviewed here.